Samsung is definitely in the sights of Asus so it’s well worth looking at comparisons between the two. We’ve done a fair number of Samsung Galaxy Tab vs. ZenPad articles so far, and we hope to cover every model out there currently. So on the surface, this does appear to be a reasonable vs. comparison. Both these tablets are 10.1-inch and sport a 16:10 aspect ratio. The ZenPad 10 is a slightly newer release than the Galaxy Tab 4, but they are close enough and likely going to be closely priced. Let’s first peek at what’s under the hood in terms of processing power. The ZenPad 10 Series is packing the Intel Atom x3-C3200 (Z300C), x3-C3230 (Z300CG) and the x3-C3560 (Z300CL) processors. This means clock speeds from 1.2GHz to the 1.8GHz in the Z300CL (4G LTE model). The Samsung Galaxy Tab 4 (10.1) is sporting a 1.2GHz processor which is similar to the Z300C and Z300CG. In the RAM department, the ZenPad 10 models have 1GB to 2GB, whereas the Galaxy Tab 4 (10.1) has 1.5GB of RAM. It’s hard to pick a decisive winner for the processing power. The highest end ZenPad 10 model is a winner based on both RAM and processor, but the other ZenPad 10 models are in the same range. Samsung have built quite a reputation on build quality. Does the Tab 4 beat out the ZenPad 10? Let’s look at thickness first. The Samsung Galaxy Tab 4 (10.1) is 7.9 mm thick and the ZenPad 10 is 7.99 mm also. That is a draw folks! Next let’s compare weight. The ZenPad 10 series is from 500g to 510g in comparison to the Galaxy Tab 4 (10.1) weighs 487g. That’s a win for Samsung. The Tab 4 is ever so slightly lighter. Camera wise, this is quite close on the front camera. The Galaxy Tab 4 has a front facing camera that is 1.3MP and the ZenPad 10 has anything from a .3MP front to a 2MP front camera (only on Z300CL). The rear camera on the ZenPad 10 at best is a 5MP, but some models also have just a 2MP rear camera. The Galaxy Tab 4 has a 3MP rear camera. So this is really a mixed bag comparison. If you really care about the camera comparison, you best look at the detailed specs in your country because the ZenPad 10 camera seems to vary, depending on the country and model. The storage comparison is interesting. Both Samsung and Asus has microSD with a max card size of 64GB supported. The Galaxy Tab 4 (10.1) however only comes with a 16GB model, whereas the ZenPad 10 comes anywhere from 8GB to 16GB to 32GB and 64GB (only on Z300CL). In addition, Asus offers a lifetime of 5GB cloud storage. The most fun of a comparison vs. articles is when we can look at features or specs that one tablet has over the other tablet. In a sense there isn’t a comparison to be made! So the ZenPad 10 has the Z Stylus support whereas the Galaxy Tab 4 does not have S Pen support. Next is speakers, and the ZenPad 10 has dual stereo front facing speakers and the Tab 4 (10.1) only has the side mounted. Clearly the front facing speakers are the winner. The ZenPad 10 also has the specifically made keyboard dock. Certainly the Galaxy Tab 4 (10.1) has the option of a keyboard case accessory, so the keyboard isn’t completely exclusive to the ZenPad 10. The ZenPad 10 also comes with a 3G and 4G LTE version in comparison to the Galaxy Tab 4 (10.1) which doesn’t not have a 3G or 4G LTE option. Lastly, the ZenPad 10 has a color option which the Galaxy Tab 4 (10.1) does not have. Both Samsung and ZenPad 10 have black and white, but ZenPad 10 also has a metallic color available. When most people cover the backs of their tablets with covers/cases we don’t think the colors are really a big deal in the first place. Price comparison will need to be updated when official ZenPad 10 details are released. However, we can still provide some analysis. We know for a fact that Asus is going aggressive with their pricing. That means the ZenPad 10 should be cheaper than the Samsung Galaxy Tab 4 (10.1) even though the Tab 4 is older. If anything, the pricing will be quite close. 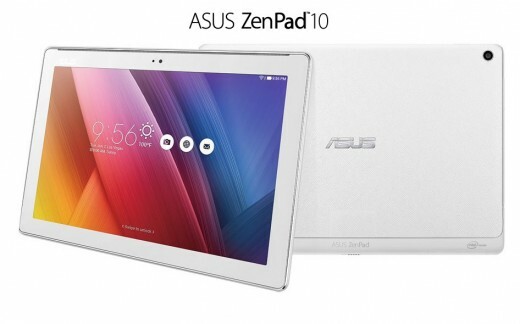 We certainly would be shocked to see the ZenPad 10 being more expensive than the Galaxy Tab 4. These two tablets are very similar. The two most important comparison specs would be in battery life and price, both of which we can’t give an accurate comparison for at the moment. Spec vs. spec though, there isn’t a lot to differentiate. In the extras department, the ZenPad 10 clearly takes a big advantage with the Z Stylus and keyboard dock. If we just look at the premium ZenPad 10 (Z300CL) then with that extra processing power, it’s clearly a better tablet. The other models, the Z300C and Z300CG are much closer in a spec to spec comparison. 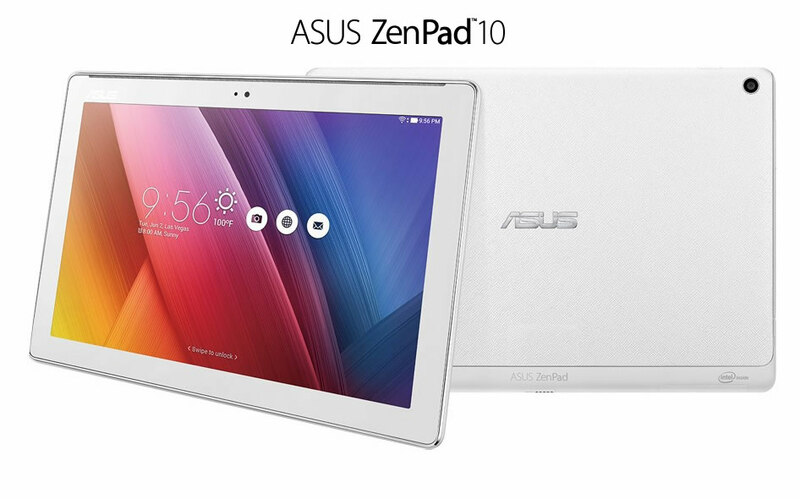 This is so close right now, we could give this comparison a draw, or give a slight edge to the ZenPad 10 right now. Keep in mind, the price and battery life are big factors and will be the specs that will answer the question of which tablet is the best. Stay tuned, we will update when those added details are known. I am interested in the Z300CL. I note that I would be interested in it because it is small and light weight, not necessarily because it is inexpensive. I would like to find a tablet with keyboard dock that had 4GB of memory and 128GB of SSD as well as LTE. Perhaps more than one microSD card slot and one, or 2 full size USB outlets might be nice features if there was room for them. The reason for the full size USB outlets is that they take these new flash memory thumb drives that don’t stick out much. SanDisk, for one, makes them.